Take a gander at this Lone Star Western Decor exclusive! Add tribal spirit to your room with these polyresin switch plate covers embossed with geometric patterns and feathers. 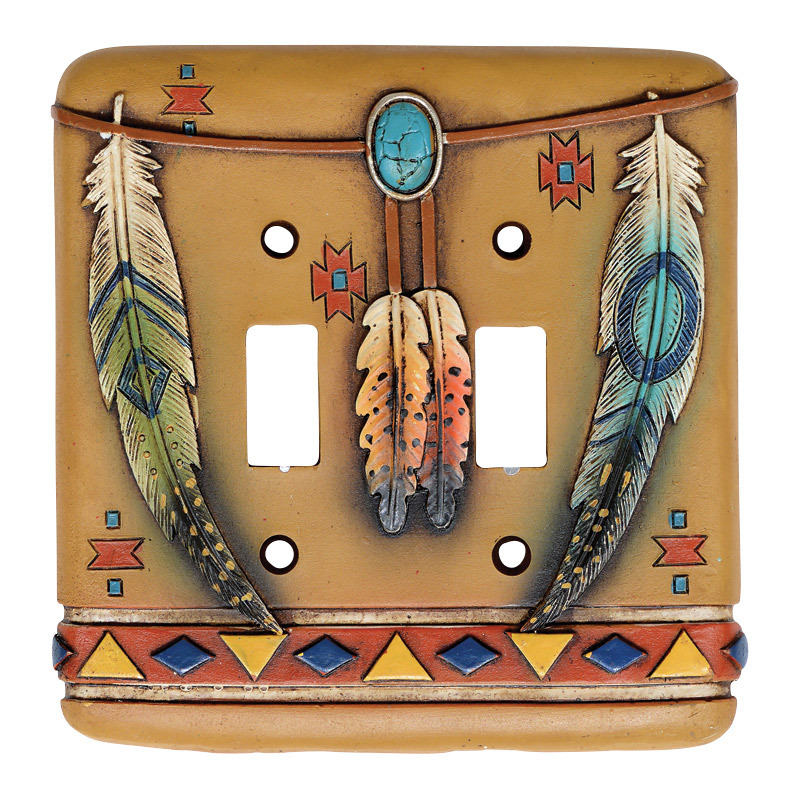 For even more pieces, we encourage you to take the opportunity to peruse our full selection of switch plate covers at Lone Star Western Decor today. Take a look at this Lone Star Western Decor exclusive! Add tribal spirit to your room with this polyresin switch cover embossed with geometric patterns and feathers. These switch plate covers measure 3 1/2"W x 5 1/2"H. For many more products, we invite you to take the time to browse our entire assortment of switch plate covers at Lone Star Western Decor today. Feast your eyes on this Lone Star Western Decor exclusive! Add tribal spirit to your room with this polyresin switch cover embossed with geometric patterns and feathers. These switch plate covers measure 3 1/2"W x 5 1/2"H. For further products, we ask you to take a moment to browse our full variety of switch plate covers at Lone Star Western Decor today. Get a load of this Lone Star Western Decor exclusive! Add tribal spirit to your room with this polyresin switch cover embossed with geometric patterns and feathers. These switch plate covers measure 5 1/2"W x 5 1/2"H. For further products, we ask you to make time to look at our whole array of switch plate covers at Lone Star Western Decor now.